I’m feeling quite a bit better though I’m not quite back to 100% just yet. Well, today’s stage was easily the most boring of the race yet and I’m certainly not about to try and make it seem more interesting than it was. 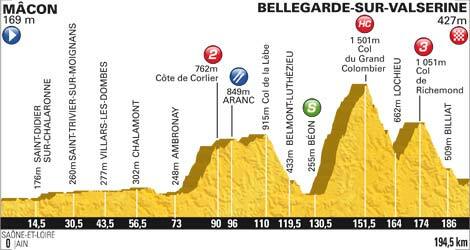 I got the impression that the racers today were not pleased with the Tour’s decision to place a big climb at the start of the stage and as a result, the peloton didn’t even try to chase down the 5-man break away. 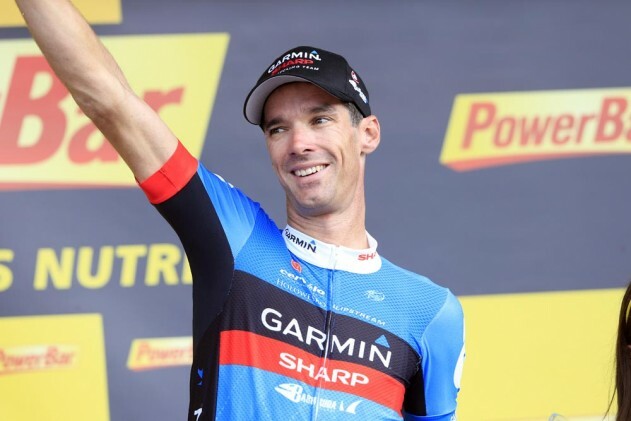 Team Garmin’s David Millar would be awarded the stage victory today. 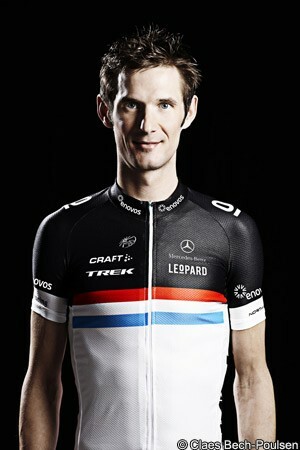 It was nice to see team Garmin get a win after all the unfortunate events that they’ve had during the race. The sprinters will return tomorrow and you should expect a wild finish as the last 2k are just slightly downhill. 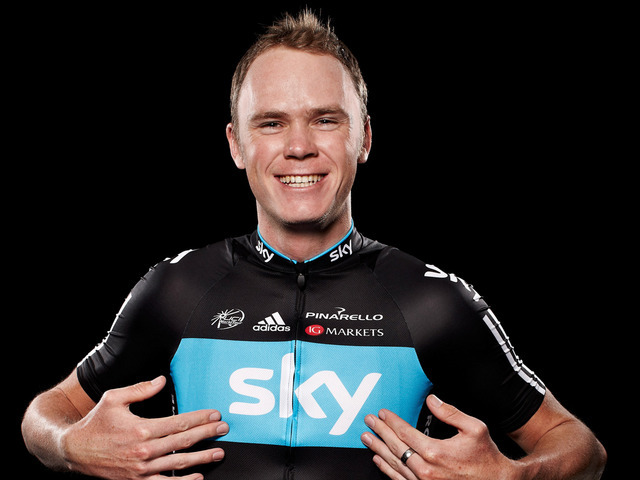 Speeds will be high and that means that you can expect Cavendish, Goss, Sagan, and Farrar to be in the mix. I’ve got the flu so this will be very brief. Cadel Evans lost his bid to win the 2012 TdF today when he ultimately failed to capitalize on an attack and later got dropped by Team Sky and Wiggins on the final climb. 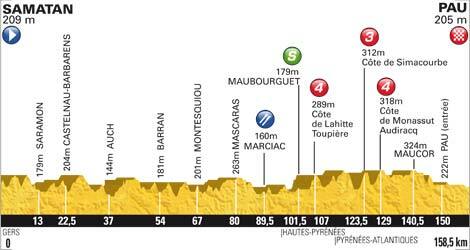 Team Sky now holds the first and second positions on the podium and I believe this TdF is officially over at this point. 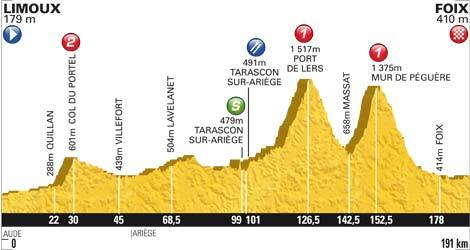 Tomorrow’s stage has some mountains in the early part but flattens out and has a small uphill finish at the end. 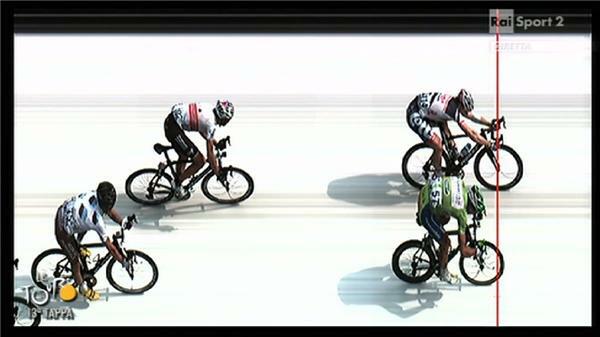 I like Peter Sagan or Philippe Gilbert to win the stage. Back to bed for me. The first 6 are good climbers while the last two were only interested in earning sprint points. 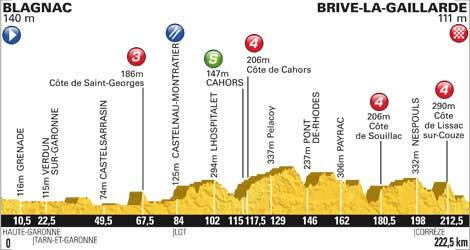 At the intermediate sprint, Sagan hit the gas way too soon and it was easy for Goss to earn maximum points and cut into Sagan’s lead. One by one the riders would drop from the breakaway group so that only 4 remained — Voeckler, Scarponi and Devenyns, and Sanchez. Though Sagan dropped off the breakaway group, he did not fall all the way back to the peloton. 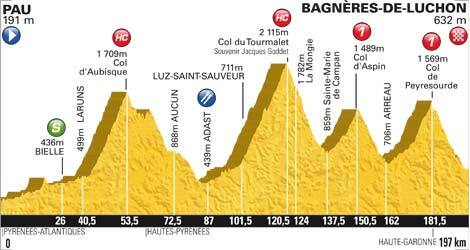 And once he had topped the massive Col du Grand Columbier, his team mate Nibali caught up to him and Sagan fearlessly lead him down the other side on an insane descent where Nibali would attempt to make up time on Wiggins. 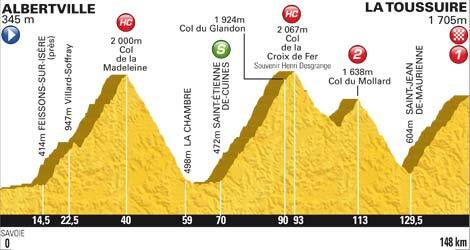 Sagan would eventually crack on the next climb, the Col de Richemond but his job had been done. They had made up some time on Wiggins and now Nibali was on his own. Nibali had pulled back 1:20 on Wiggins with abut 17 miles to go. Then, the GC group with Wiggins and Evans in it would crank up the pace and unfortunately for him, he would end up giving all that time back. It was a perfect plan that was just too difficult to execute. 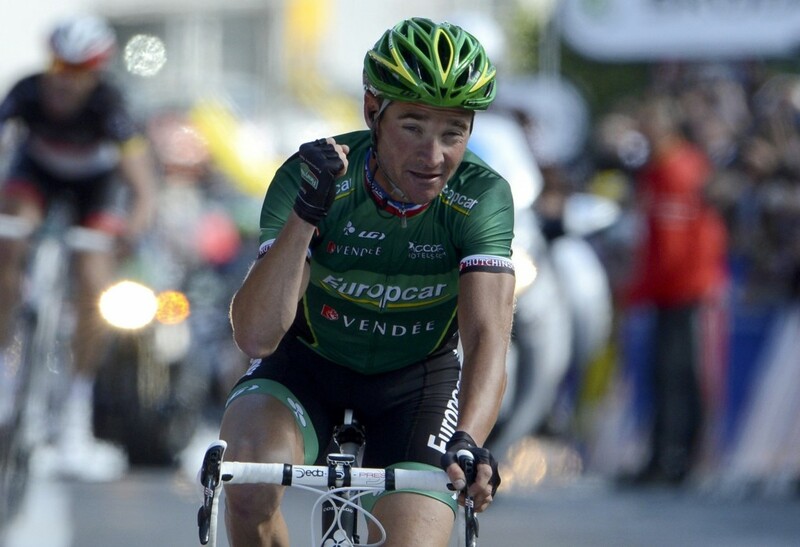 Voeckler would take maximum points in the King of the Mountain race and as a result, inherit the polkadot jersey. Somehow, the unthinkable happened when Jens Voigt rode across the gap and caught the 4 leaders with under 7 miles to go. He immediately attacked but was unable to hold off the others. There were multiple attacks by these 5 riders put in but in the end, it would be Thomas Voeckler that would win the stage. The French would be happy. 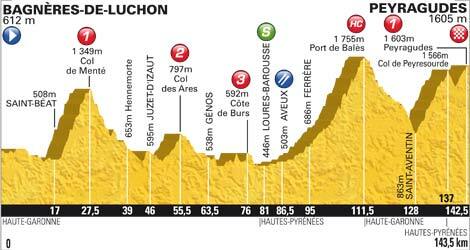 The riders that are within the top ten that are vying for a spot on the podium should be the favorites to win the stage. You can add pure climbers like Samuel Sanchez, Thomas Voeckler, Frank Schleck, and about a hand full of the other riders on Radio Shack. Things get serious this week with the first of the high mountain stages. This is a perfect stage for a break away to succeed. The GC guys will all be together and will not be chasing down attacks. A rider such as Jeremy Roy who has attacked numerous times this year could potentially win the stage. 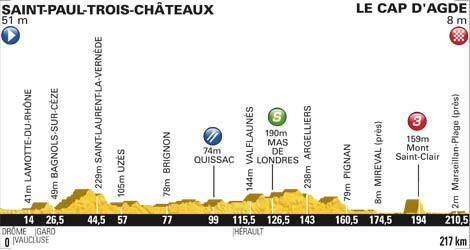 You can certainly expect Cadel Evans to put in an attack at some point on the day, likely in the very last mile of the race as it finishes uphill.